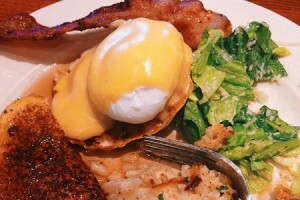 Granite City Food & Brewery takes great pride in presenting a delicious complete Sunday brunch in Naperville. No one will go away hungry with the wide variety of fresh hot and cold food prepared by a staff with a passion for creating fine food. From an assorted variety of fresh pastries to carved roasted meats, the Sunday brunch menu at Granite City has something for everyone. Served buffet style, you and your family or group can enjoy brunch from 10 a.m. to 2 p.m. A variety of fun and fruity breakfast cocktails are also served to get your Sunday started. To make a reservation or for more information about Granite City Food & Brewery’s complete Sunday brunch in Naperville, call 630-544-3700 today and speak to a friendly and knowledgeable representative. You can also email anytime at corporate@gcfb.net. Don’t be shy. You will want to make several trips to the buffet in order to make sure you sample all of the taste sensations offered at Granite City’s Sunday brunch in Naperville. Enjoy unique and tasty cocktail specialties to go with your delicious and complete Sunday brunch at Granite City. 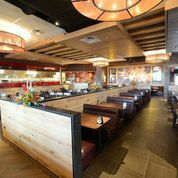 To make a reservation or for more information about Granite City Food & Brewery’s complete Sunday brunch in Naperville, call 630-544-3700 today and speak to a friendly and knowledgeable representative. You can also email anytime at corporate@gcfb.net, or send us your request by filling out the contact form to the right and we will respond shortly.